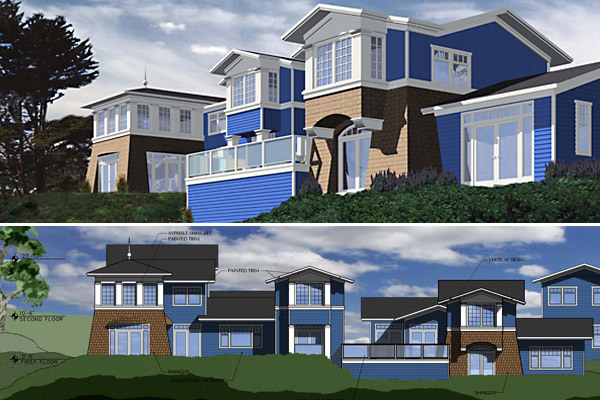 Designed to take in the abundant views of the harbor and sand dunes beyond, the proposed Bodega Harbor Inn project included both new construction, as well as the complete remodeling and substantial demolition of an existing inn. Working within strict coastal development standards, TFA produced a design with elements of traditional coastal architecture and generous expanses of glass to provide guests with access to as many views and as much sunlight as possible. TFA and its design team guided the project through the lengthy public approval process and oversaw the evolution of the design as various members of the local community and public agencies reviewed and commented on the project. The images on this web page are computer renderings produced by TFA for this public review and approval process.